In the last five years, we, the GIS industry, have made some fantastic advances. So, why is it that we are so slow with the adoption of using 3D data? Surveyors take data based on a 3D location; where does this third dimension go? Admittedly five years ago 3D visualizations were more a tool for allowing senior management to visually understand the three dimensional problems at hand or to get people to buy into your capability. They were cool times, and even though the software was quite specialist, a 3D visualization was part of every large project deliverable, although any GIS expert who has been part of those projects will, at this point, raise her hands and say that none of the GIS data was used at any time for the visualization. Furthermore, until the last few years, sharing 3D data has been difficult, with many people stitching together snapshots or putting a movie onto DVD/USB for the client. This isn’t the case anymore, so why are we still flat-minded? It is safe to say that thanks to the evolution of Esri’s CityEngine and QGIS’ QGIS2Threejs, 3D has become a GIS tool, and here is the basic and most core reason why: 3D visualization of the past used to require that you stripped data of its coordinates so that your furthest-most extent would be your basepoint, a little like AutoCAD. Even with the most complex 3D modeling tools that allowed you to use georeferenced 3D data, you would find that once processed, these models had no reference in the real world and were no more than standalone objects. As you can see, the tool allows the user to not only manipulate the object in 3D but also take coordinates from the objects. This provides context to the model and changes it from a mere visualization to an informative model. Clicking around the campus retrieves attribution for objects and also hyperlinks to further information. These 3D models are no longer just simple visualizations; these are informative models that are scale representations of real-world objects. Admittedly, the collection of the data limits the “realism” a little; therefore data collected to 2m accuracy would not show detail such as roof direction or an exact building outline, but does this really matter if it is to understand how things interact with each other or to understand visibility at a high level? When we analyze line of sight or visibility analysis, we use a 5m DTM (SNH guidance) as an industry standard, and no one bats an eyelid. So, here’s the thing. We need to get over the level of detail (LOD) issue when talking about 3D models. It isn’t always about how accurately the model mimics the real world. For many users 3D enables the ability to see the issues in context and see where conflicts may occur. There have been many times when I have been glad I invested my time into learning 3D tools, and for me, the prospect of GIS becoming more 3D is one that I embrace. Take for example volumetric calculation. A client has a lot of mud that needs clearing. How do you get an accurate volume that needs extraction? Fallout areas: on a 2D map they are a simple buffer of the center, although these issues rarely lie with just the flat plane, so to be able to calculate the extent as a dome buffer or set of dome buffers changes the calculations entirely. The issue is that most 3D tools have to be used with 2D GIS and then visualized in a 3D environment. There isn’t (currently) a software whereby you can perform the analysis in 3D in realtime, although it is close, with ArcGIS Pro and also QGIS talking and demonstrating solutions that aren’t far off. 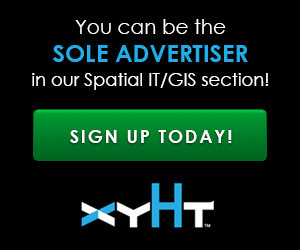 With more use of 3D and promotion, it will mean the we realize the true 3D GIS sooner rather than later. I, for one, look forward to the day I can use a 3D model whereby I can click on objects and extract information or analyze something to ensure the right decisions have been made. I love the way these examples look! One of them took quite a while to zoom in on but, besides that, I loved the overall flow of it. Amazing how quickly things are changing!